Faith, an 18-year-old girl from the city, moves to a horse ranch in the country to help her dying mother. 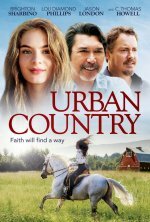 Urban Country release date was Friday, August 3, 2018. This was a Limited in theaters release.